Unified Payments Interface (UPI) has transformed the way monetary transactions are done in India. Developed by the National Payment Corporation of India (NPCI) in strategic collaboration with Reserve Bank of India (RBI) and Indian Banks Association, this mobile banking interface has been facilitating and streamlining safe and swift cashless transactions. According to Euromonitor, the number of UPI transactions nearly touched 250 million in June 2018. At Pine Labs, we are committed to the adoption of UPI with merchants. From small stores to organized, large format retail chains, merchants of all sizes can benefit from the convenience of payments directly from the bank account. 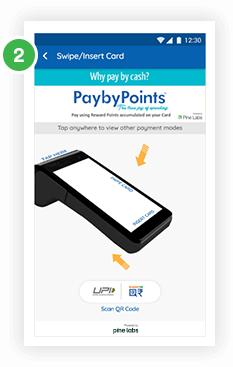 UPI is operated through Immediate Payment Service (IMPS). You can instantly transfer money round-the-clock without having to wait for queue clearance like in National Electronics Funds Transfer (NEFT). Your financial information is absolutely safe with UPI. Before executing any transaction, authentication is carried out at two levels. When you create your UPI account with an approved service provider on your smartphone, you must set a unique mobile pin (MPIN). The provider will then assign a VPA to you. A transaction is allowed only if the VPA is authenticated with the MPIN. Your bank account details are not required to be shared for receiving money. Just provide your VPA to the sender who will enter the same in his/her system and authorize the payment by entering the MPIN mapped to his/her VPA. You may wonder that if your smartphone's VPA is maliciously being used in another system, your financial security could be compromised. This is not the case as the VPA is not permanent. A service provider can offer you an address that expires after a single use. Alternatively, you can get an address that is restricted to limited use. The address can be used for transacting a fixed amount of money or for a pre-defined time. The address can also be bound to specific payees, which means that other users cannot transact with you. The service provider can create as many VPAs as you want. Customized authorizations can be assigned to each of them. Transaction is successful. Charge slip gets printed. 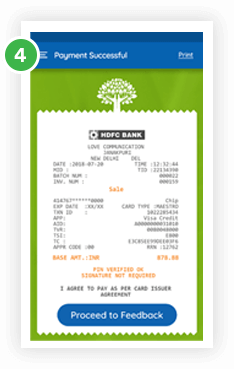 Payments made through UPI are marked as IMPS transactions in your bank statement. Standard rates applicable to IMPS usage are levied for UPI-based transactions as well. A nominal fee of 50 paise or so is charged. Most service providers offer attractive incentives for making payments through UPI. This is in sync with the government's bid to transition towards a cashless economy. 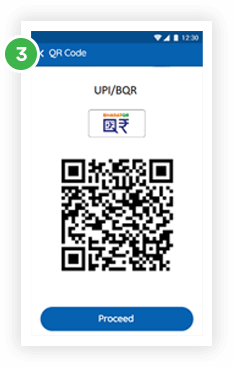 All major banks and online portals support UPI or have a UPI feature integrated into their payment gateways. 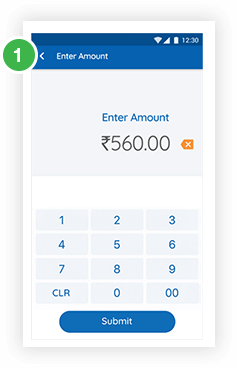 Some of the major UPI integrated apps are Google Pay, PhonePe, SBI Pay, HDFC Bank MobileBanking, ICICI Pockets, Axis Pay UPI App, Yes Pay Wallet, Union Bank UPI App, Punjab National Bank UPI, United UPI, Canara Bank UPI, Andhra Bank ONE - UPI, Vijaya UPI, South Indian Bank - SIB M-Pay, Bank of Maharashtra - Maha UPI, Oriental Bank of Commerce - OBC UPI PSP, DCB Bank UPI App, Lotza, and TranZapp. Both Android and iOS frameworks support UPI. All new updates are available on Google Play or Apple App Store. Our POS terminals are enabled to accept payments through UPI. For more information on why merchants and customers prefer UPI, click here. Now that you are aware of the features of UPI, go ahead with confidence and engage in safe and cashless transactions.